Senate President, Dr. Abubakar Bukola Saraki, on Monday condemned the bombing of a mosque inside the University of Maiduguri during which a Professor of Veterinary Medicine was reportedly among the casualties. 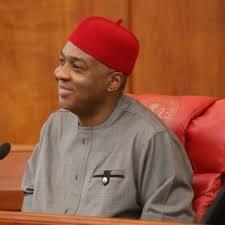 Saraki in a statement by his Special Adviser on Media and Publicly, Yusuph Olaniyonu, in Abuja, decried the loss of valuable human lives and destruction of property during the incident. He expressed concern over the rising trend of isolated Boko Haram attacks on soft targets since the liberation of the Sambisa Forest which used to be the stronghold of the insurgents by the military. Such attacks, he said, has created fears among Nigerians, that in spite of the obvious defeat of the insurgents, pockets of attacks are still being perpetrated by the fleeing remnants of the outlaws. He also noted that the attack on the university provides a cogent reason why security should be further strengthened around all educational and allied institutions to prevent reoccurrence. "This attack calls for urgent security measures for all potential targets across the country so as to prevent the insurgents from taking undue advantage of the emerging peaceful atmosphere across the country", he said. While praying God to grant repose to the souls of the departed and quick recovery for the injured, he called on Nigerians to be more vigilant and security conscious.